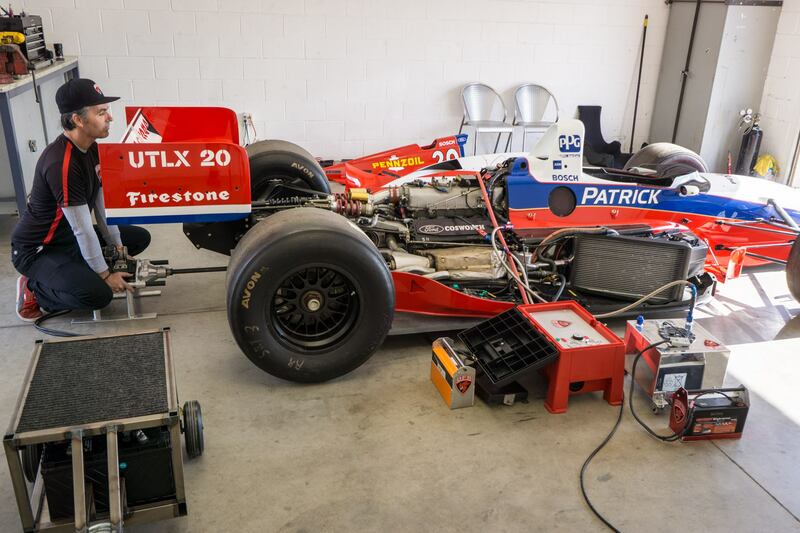 That is a Lola T95 Indy car, and a friend of mine helps out the team as a mechanic. 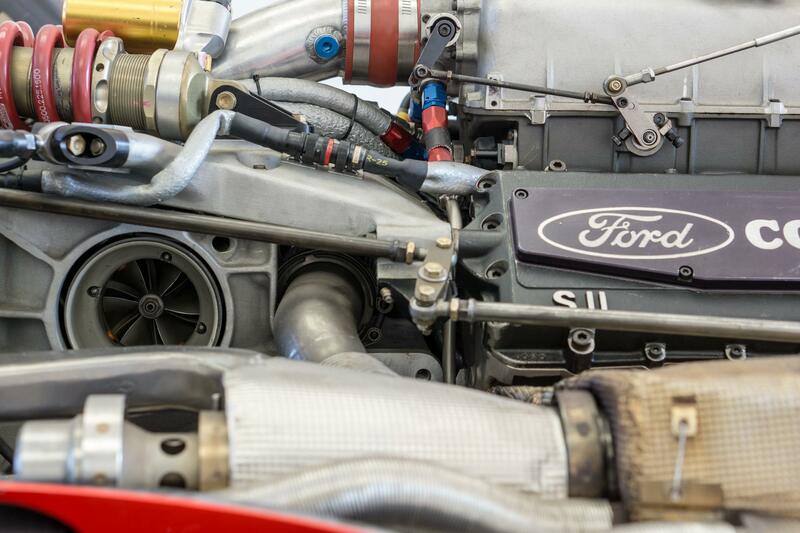 It was Driven by Scott Pruett for the 1995 season and won in Michigan. It had basically been parked for 10 years and this was a shakedown day to learn about running the car and what kind of work it’s going to need. 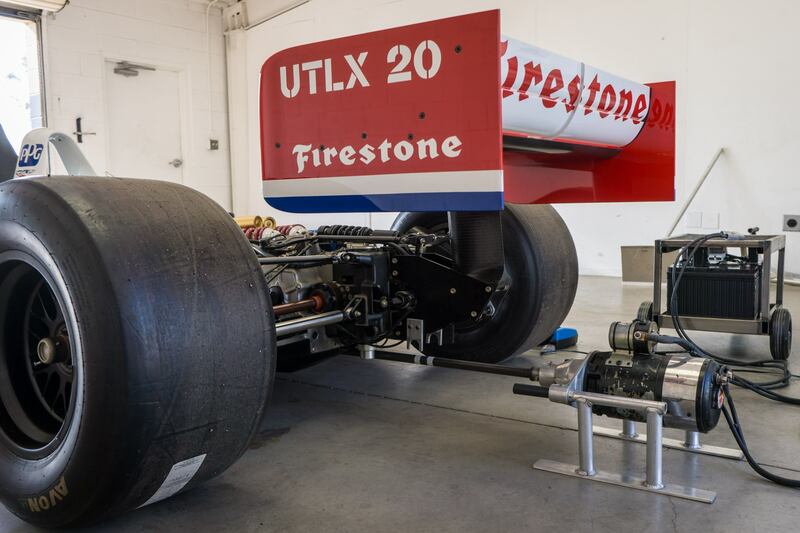 I believe the plan is to do some historic racing type events. 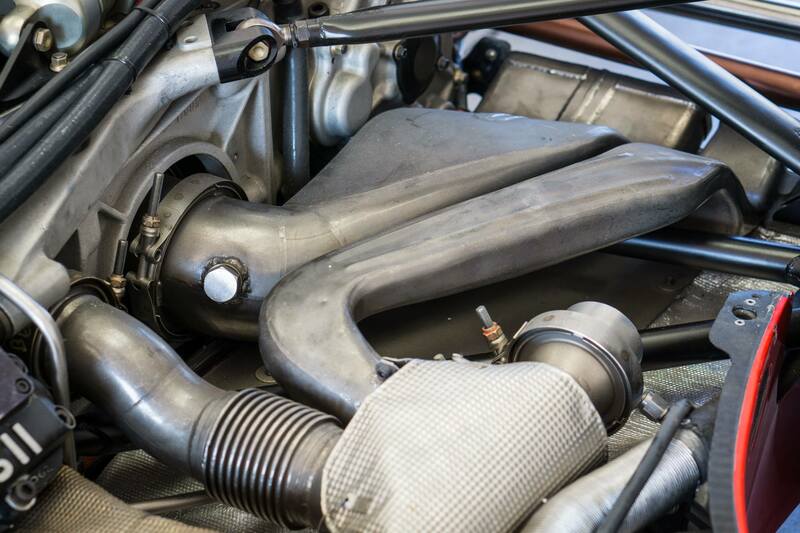 It seemed a little odd to me that the turbocharger is inside of the front of the transmission case, as they generate a good amount of heat and it looks like you would have to take the whole rear of the car apart to swap a turbo. The upside, of course, is packaging- it’s centered and low and allows the body to be lower and more streamlined. 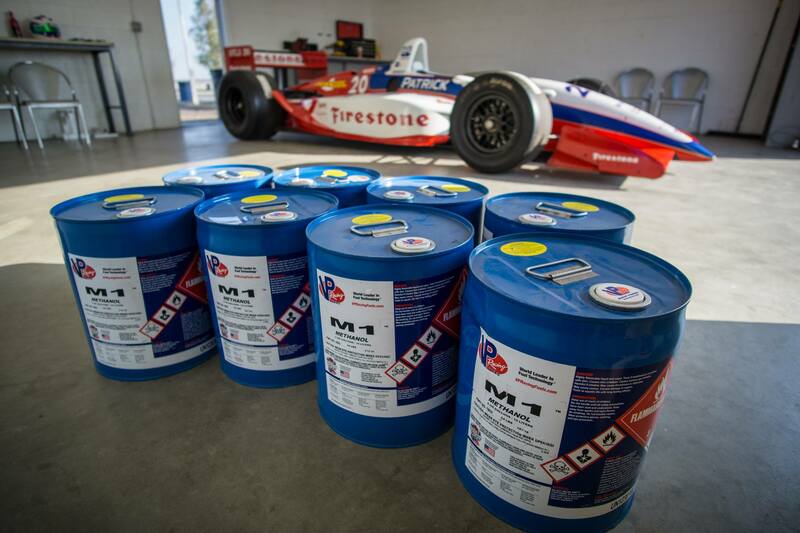 These cars run on methanol so it is a pretty low stress and low heat environment as far as turbochargers are concerned despite making 800+ hp for some events like Indy. It’s not even intercooled. 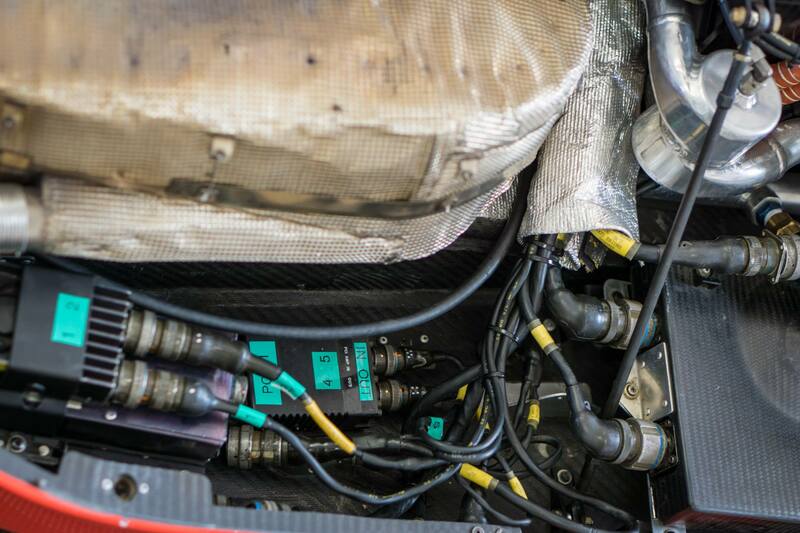 That shows a nice view of the exhaust routing as well as the rear suspension. The first thing you are the shocks attached to those linkages. A pushrod from the wheel upright pushes on a rocker which then compresses the damper and spring. Using a pushrod and a rocker creates a few benefits, the obvious being less unsprung mass and better aerodynamics. 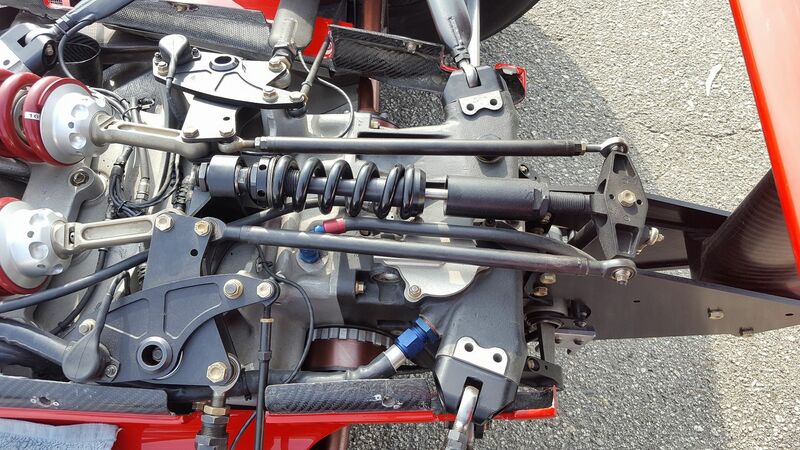 Less obvious is how it affects the operation of the suspension. As suspension moves through it’s travel, the geometry changes. 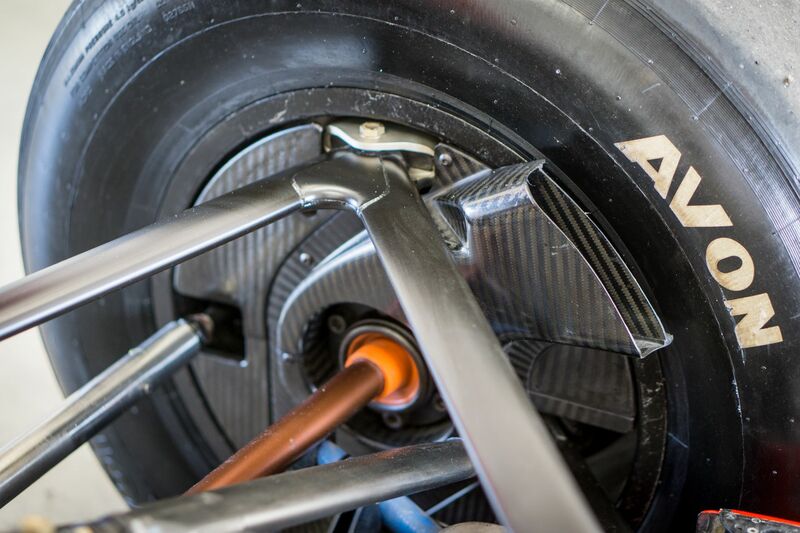 More conventional, direct actuated suspension will generally become softer as it compresses because of changes to the motion ratio, or how far the shock actually compresses in relation to wheel travel. With a rocker, you can have better control over the motion ratio and create a rising spring rate as the car goes lower into it’s travel. This is usually better- the car behaves a little stiffer under hard cornering for example when the outside tires are under heavy load, but driving normally over bumps it seems a little softer. 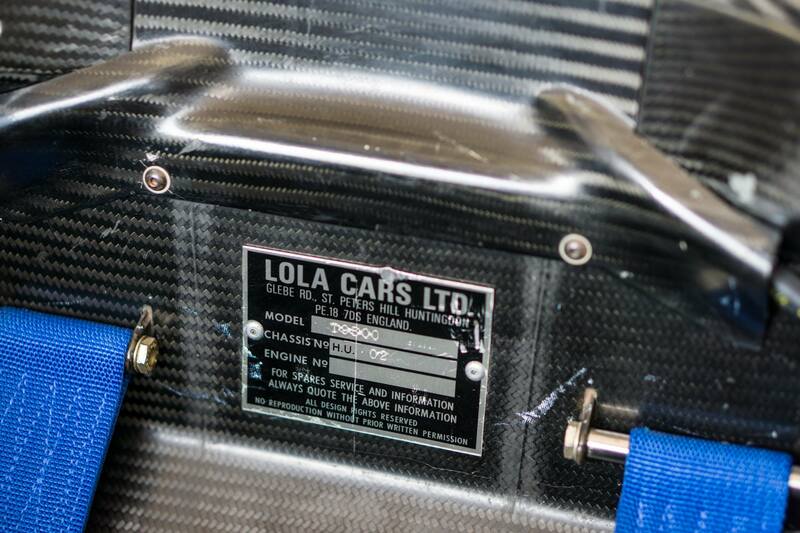 It’s also useful for cars with downforce- go faster and as the suspension gets pushed down it becomes stiffer. 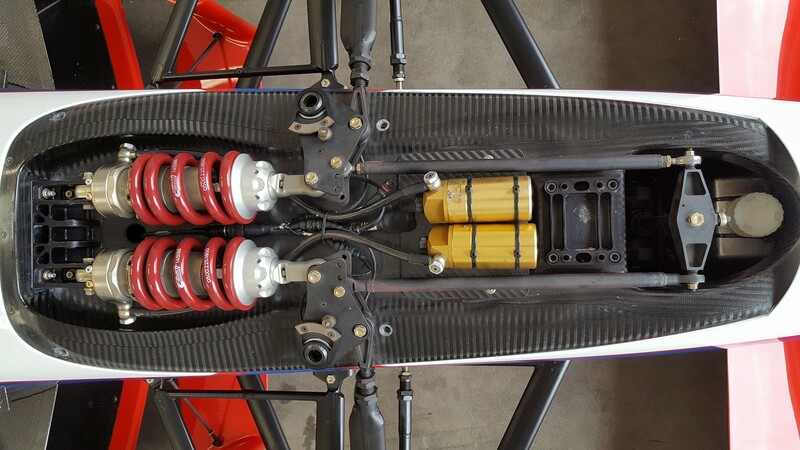 The pivoting linkage to this 3rd spring will only compress it when the whole suspension is compressed evenly by downforce. In a slow speed corner where the car rolls, the linkage will pivot and allow the suspension to work as if there was no 3rd spring. This will allow more compliance and better grip. 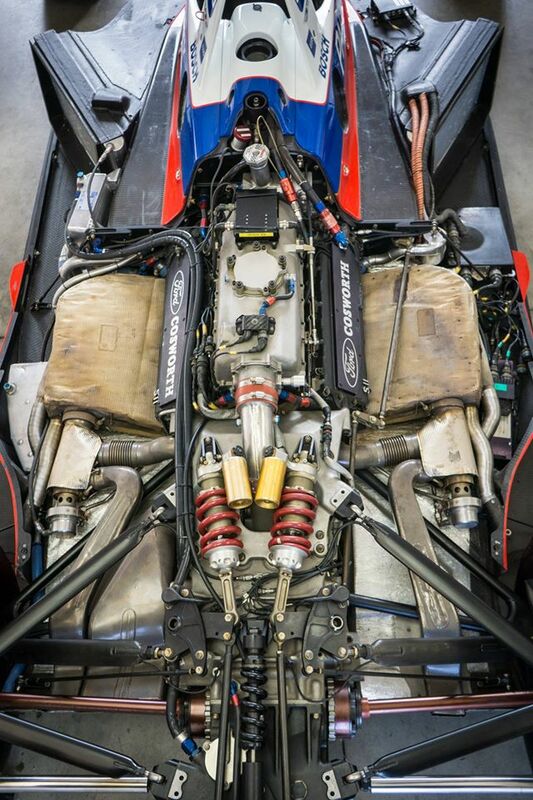 I believe the vertical bar descending from that linkage also acts an anti-roll bar. Those sensors and the second rocker appear to be for suspension position, and might also support part of the undertray. Mild active aero? Pretty similar to the rear. Cool rotary shock position sensors. 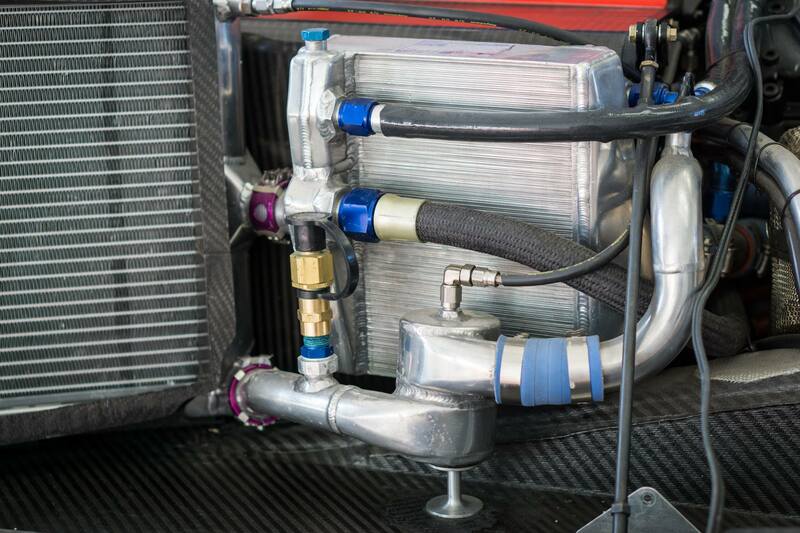 That is how you duct a radiator. 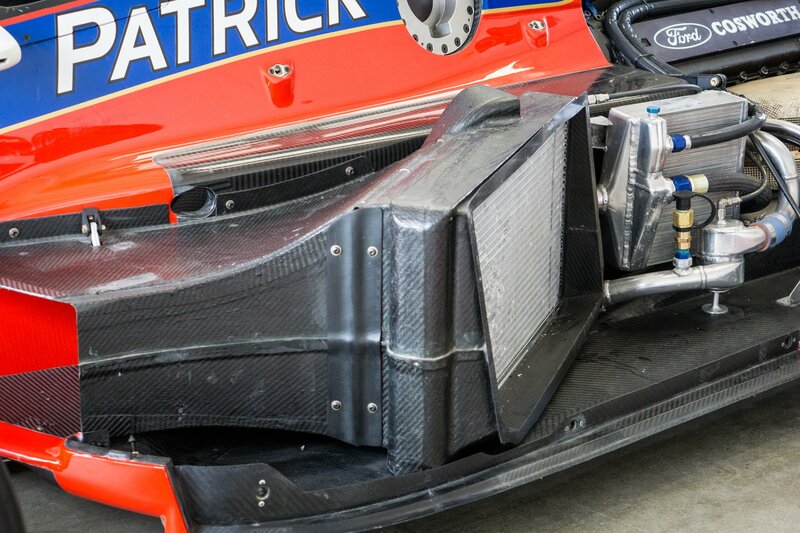 I assume that swirly thing is to bleed air from the cooling system. I would guess that capped fitting is for circulating coolant through a heater before starting the car. Fuel. They went through the 40 gallons they brought. Car gets 2mpg. Thanks to AJ Latteri for letting me post all his pictures. 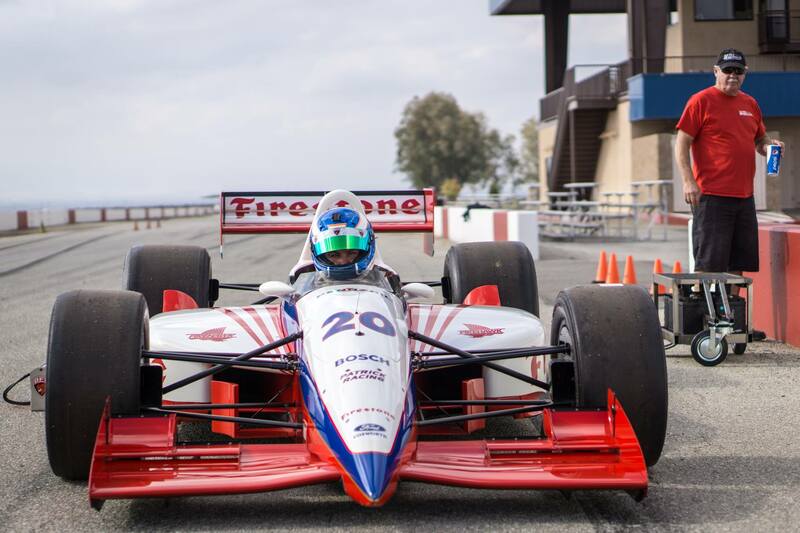 For updates and more info check out the Dave Freitas Racing facebook page. Oh and I almost forgot: on very old tires and it’s first test day out it will turn laps in the 1:35 range around CW13. This entry was posted in Tech by jamal. Bookmark the permalink. 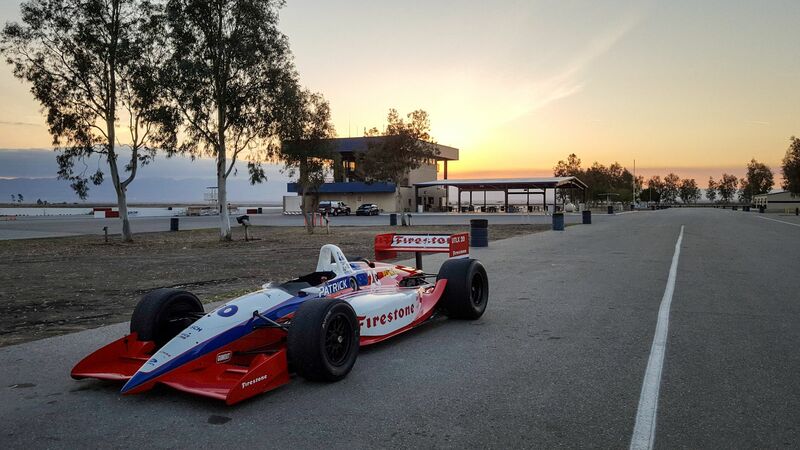 Hi there,I check your blog named “An Indy car at Buttonwillow | hellafunctional” regularly.Your writing style is witty, keep doing what you’re doing! And you can look our website about free proxy.